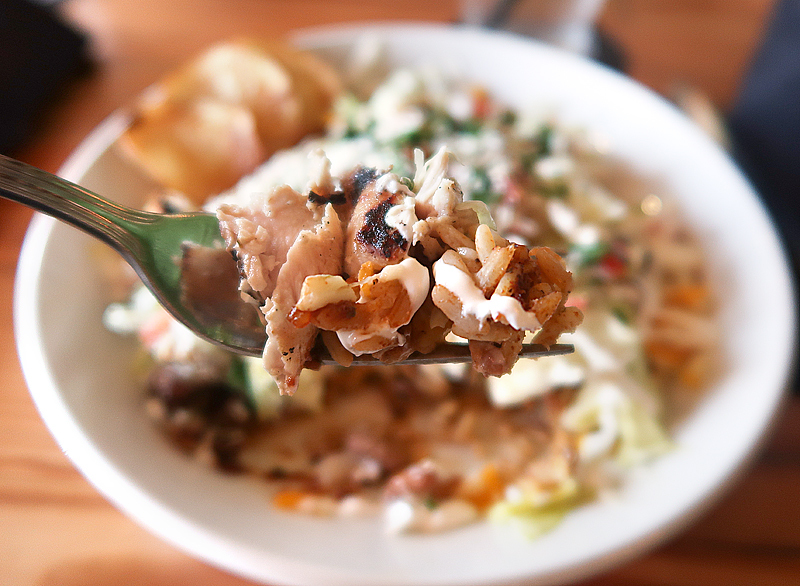 A food tour is an affordable and fun way to sample food and beverages from locally-owned restaurants all in a single afternoon. I don’t know if I should be shocked or ashamed that it’s taken me this long to take part in one of these things, but this past Saturday I finally remedied that problem. I took the Chef’s Table Tour with East TN Tours and I want to tell you all about what I saw and ate. 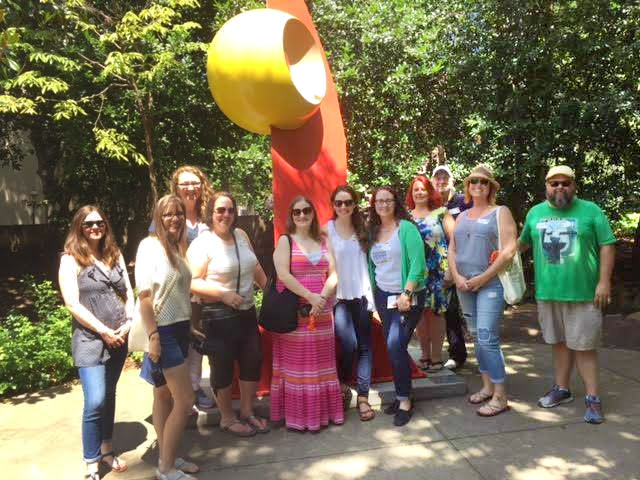 The way it works is simple: you pay a single fee, pick a date, and meet up with your tour group. 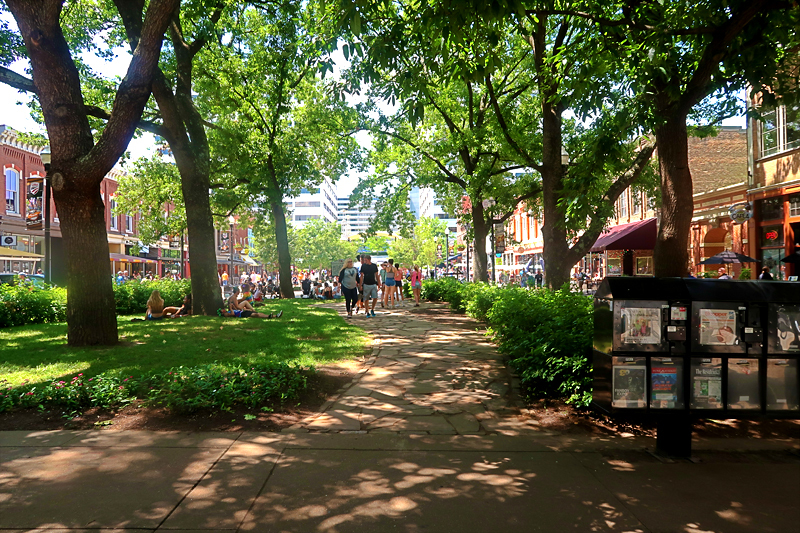 Then you set off on foot and are treated to a walking tour through the downtown area, stopping along the way at several food establishments to sample a dish. The visits from the tour groups are pre-arranged with participating restaurants and in most cases the food has already been laid out when you arrive, meaning little to no waiting at each stop. Lauren Quinn, owner of East TN Tours, was our tour guide for the afternoon. It is obvious that Lauren has a love and passion for local culture, history, and food and she was a fantastic guide! 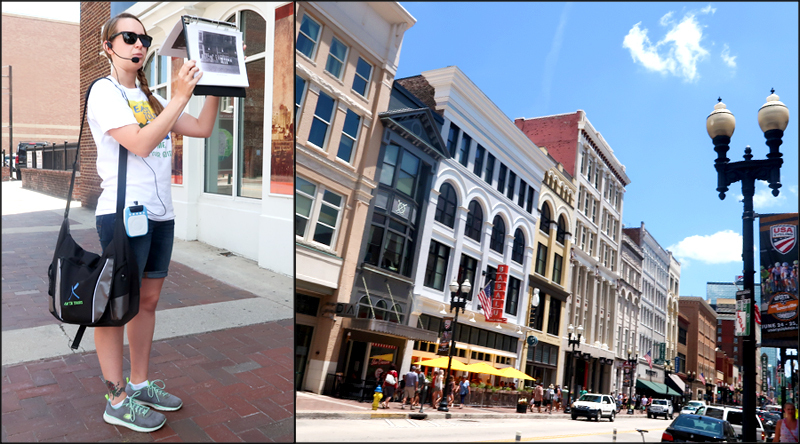 She brought along a binder of interesting historic photos that she used to illustrate the stories that she told at multiple spots along the walking route. 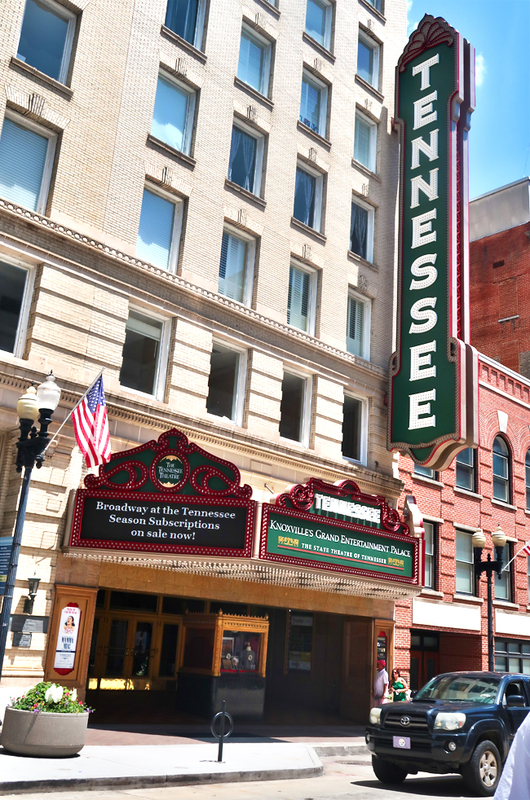 Learning a bit of history about the area was a great bonus to the tour and I learned lots of new things that I never knew before (and I’ve lived in Knoxville for 16 years!) Lauren uses a portable voice amplifier which allowed us to hear her very clearly over the usual downtown traffic noise. She even brought along sunblock and miniature fan misters because it was a hot, hot, HOT June day! 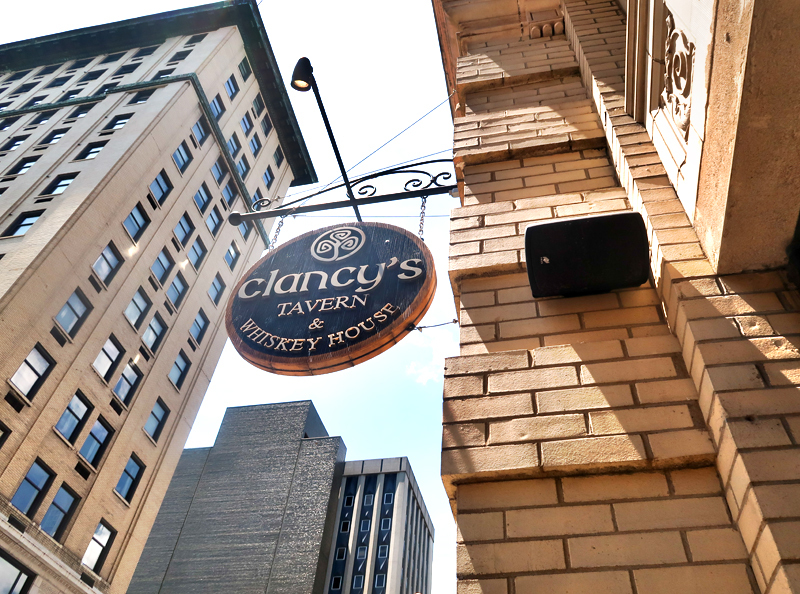 Our first stop was Clancy’s Tavern and Whiskey House, an Irish pub located next door to the Tennessee Theatre at the corner of Gay Street and Clinch Avenue. 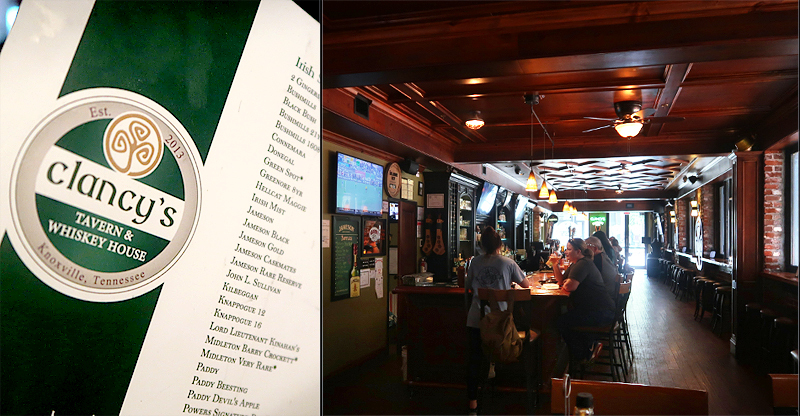 The tavern boasts an extensive drink menu with everything from draft and bottled beers to wines and cocktails. There’s also a lengthy list of options for Irish and American bourbons, ryes, and whiskeys. 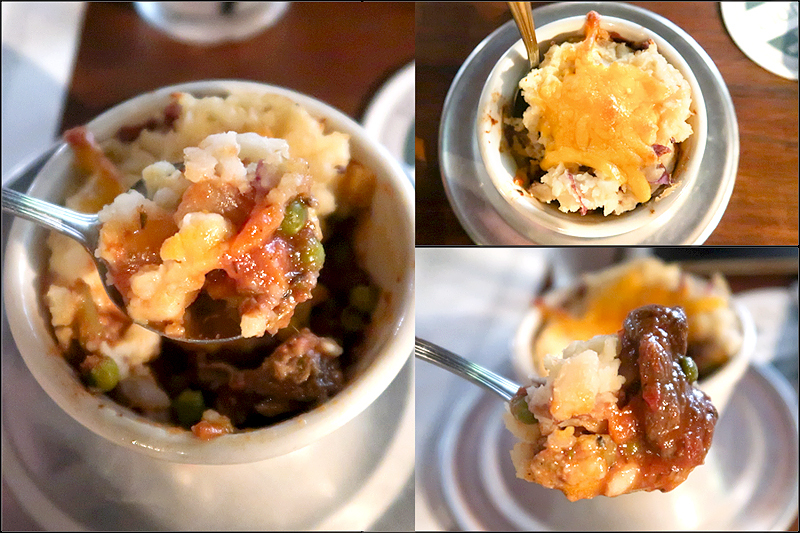 We all had the opportunity to try the Shepherd’s Pie made from stout-braised lamb with sweet peas, celery, and onion finished off with home style potatoes and melted cheddar cheese. 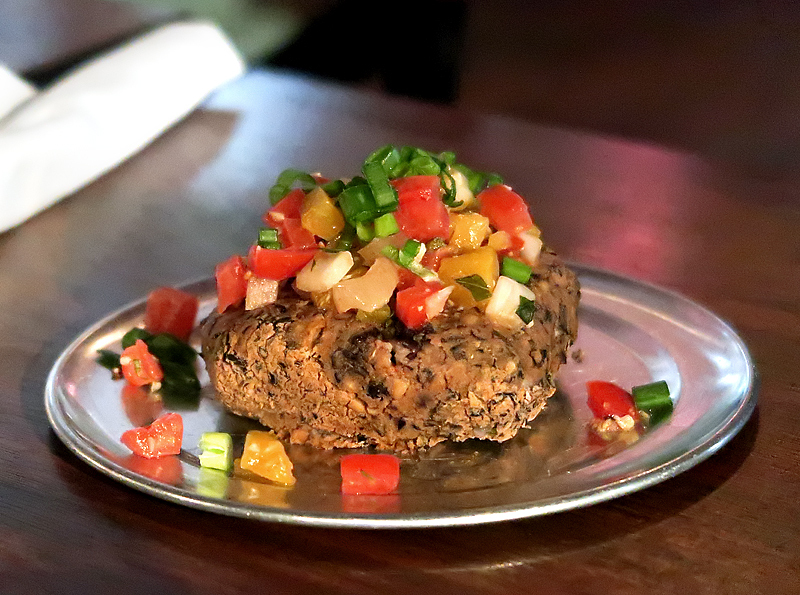 There were considerations made for those with dietary restrictions and a vegetarian option was also available. Any dietary concerns were brought to the attention of the guide prior to the event so that the restaurants could be notified in advance of our arrival. 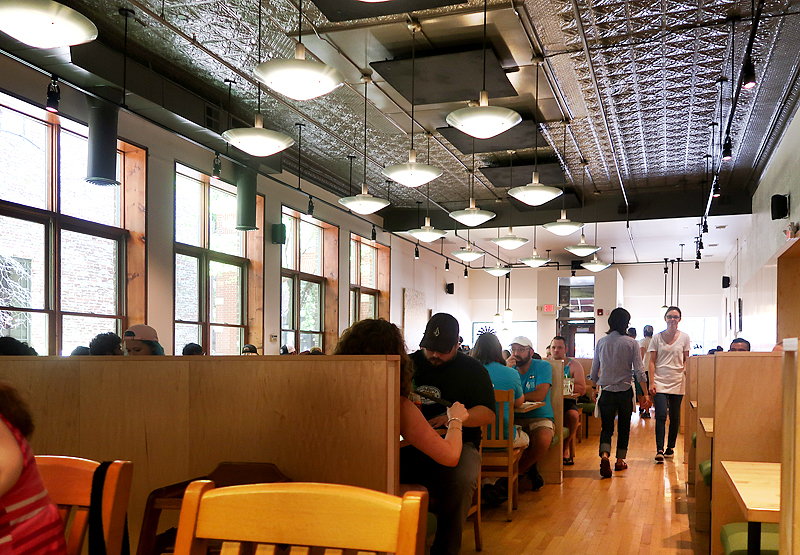 The next stop on the tour was The Tomato Head on Market Square, a restaurant I’m already well-acquainted with because of their incredible scratch-made pizzas with local ingredients. In addition to their famous pizzas, other menu options include entree salads, a large selection of sandwiches, and soups. It’s hard to overlook the bakery case at the restaurant’s entrance, full of sweet confections from Flour Head Bakery such as cookies, cupcakes, pie, and cobbler. As part of the tour we were offered a choice of tomato bisque, tomato chipotle soup, or a side salad. 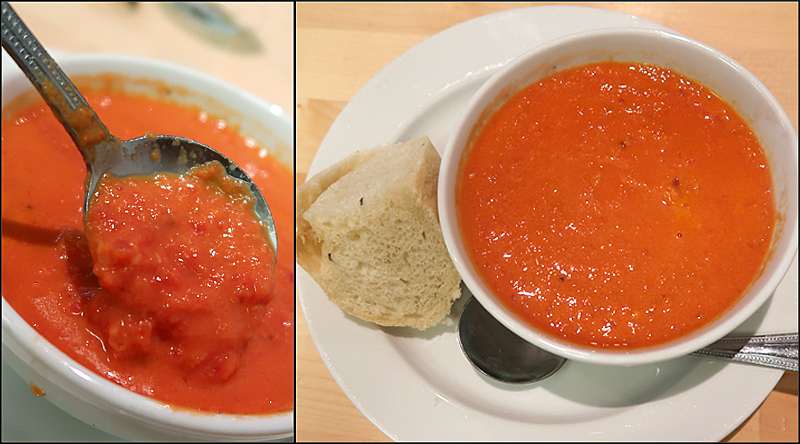 I chose the tomato chipotle soup and it was served with a wedge of soft herb bread. As I always go straight for the pizza when visiting The Tomato Head I’d never tried the soups before, and this one was killer with a nice chunky texture and plenty of heat for the spice lovers. 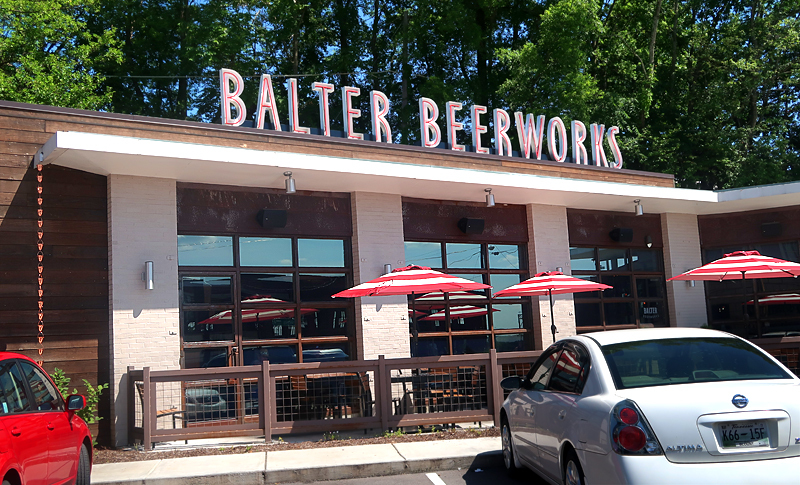 The third stop was Balter Beerworks, a rehabilitated old service station located on South Broadway. 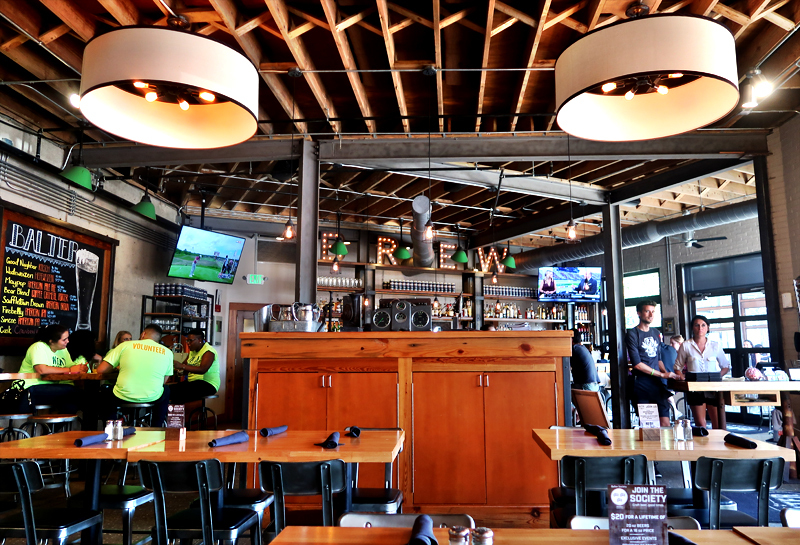 The restaurant and brewpub opened in February 2016 and specializes in craft beers and food made from scratch. As a bonus, they have their own parking available. 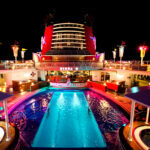 The inside is clean, vibrant, and flooded with natural light. 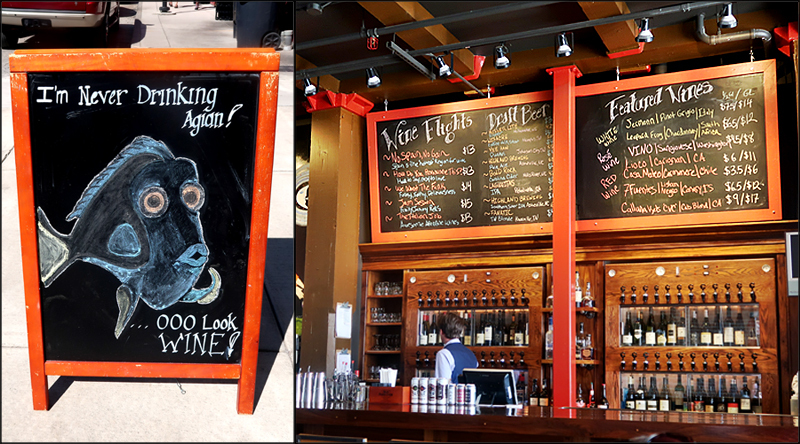 The menu is full of mouth-watering options, anything from fresh salads or avocado toast to loaded burgers, tacos, or shrimp & grits. A brunch menu is available Saturdays and Sundays and contains favorites like chicken & waffles, biscuits & gravy, and more. 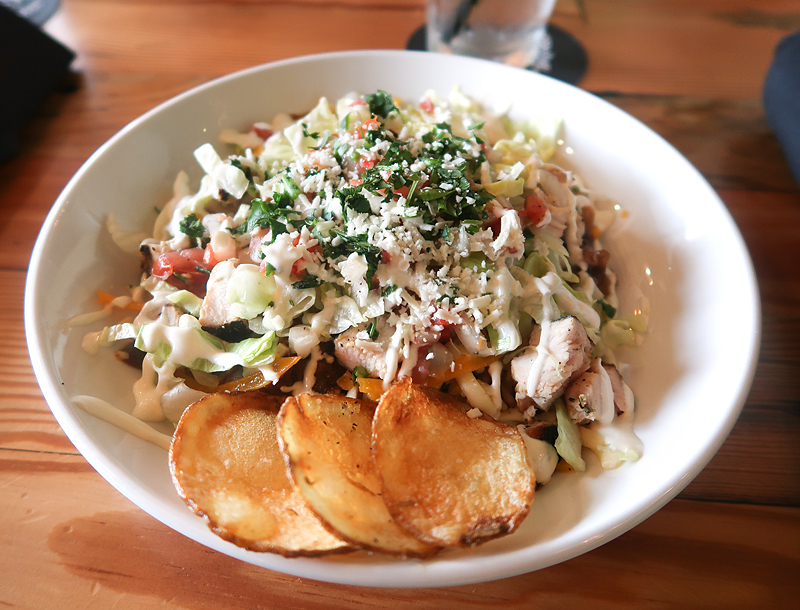 My fellow food-touring friends and I enjoyed sampling Balter’s burrito bowl – a bed of charro beans and rice full of blackened chicken and topped with lettuce, charred salsa, pico de gallo, crema, cilantro, cotija cheese, and house made chips. There’s no overlooking the care that went into preparing this dish – it was delicious and I can’t wait to bring my husband back to sample their other choices. Had it not been for the food tour this may have been a restaurant that I would have overlooked and I’m excited to have it brought to my attention. The tour continued with a walk down to the historic Old City while Lauren shared more interesting tidbits about a couple of sights we passed along the way. 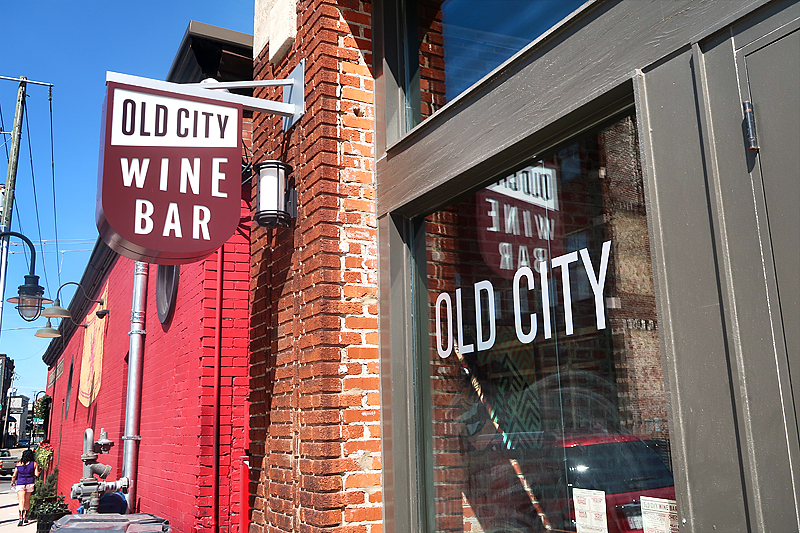 Our next stop was the Old City Wine Bar on West Jackson Avenue. The bar offers over 50 wine choices by glass and 150 available by the bottle. Tables from the old Patrick Sullivan’s down the street are used inside as well as re-claimed metal and wood that make an appearance in the decor. 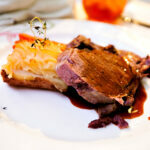 In addition to the wine menu, the food options focus on tapas-style small plates and meat and cheese tasting platters. 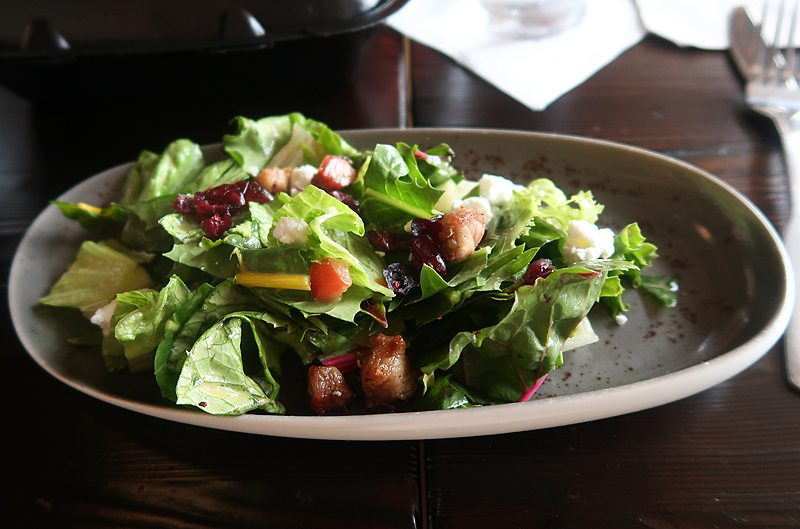 The offering for the tour was a lightly-dressed summer salad including dried cranberries, crispy pork, cucumber, and soft goat cheese. 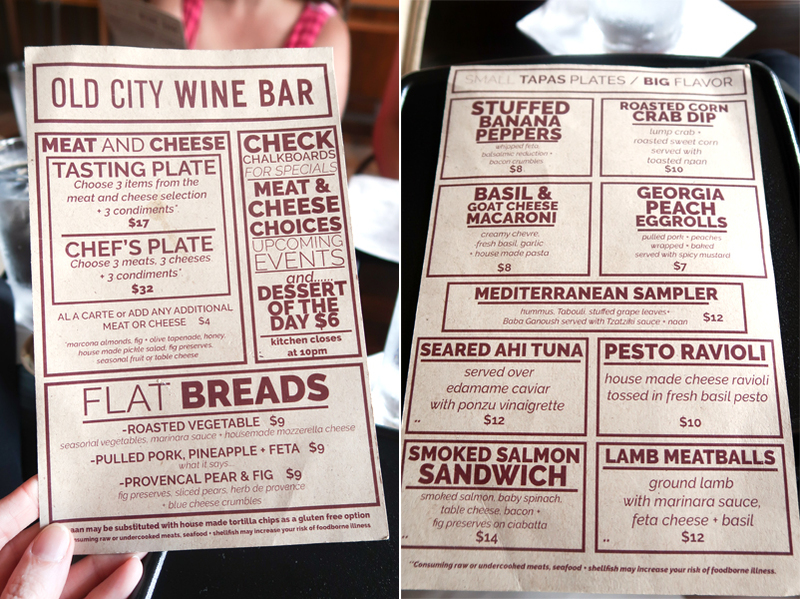 If Matt and I can manage an evening away from the kiddos, I’d love to return to Old City Wine Bar to try one of their wine flights. 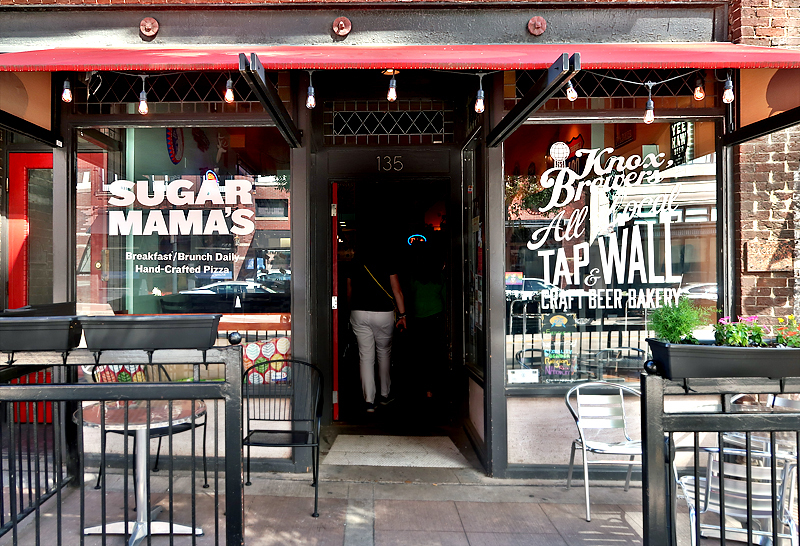 Sugar Mama’s was the last stop on the tour, located on South Gay Street. 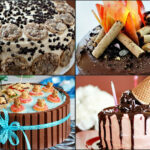 The name suggests bakery – and indeed they are – but they are so much more than that. 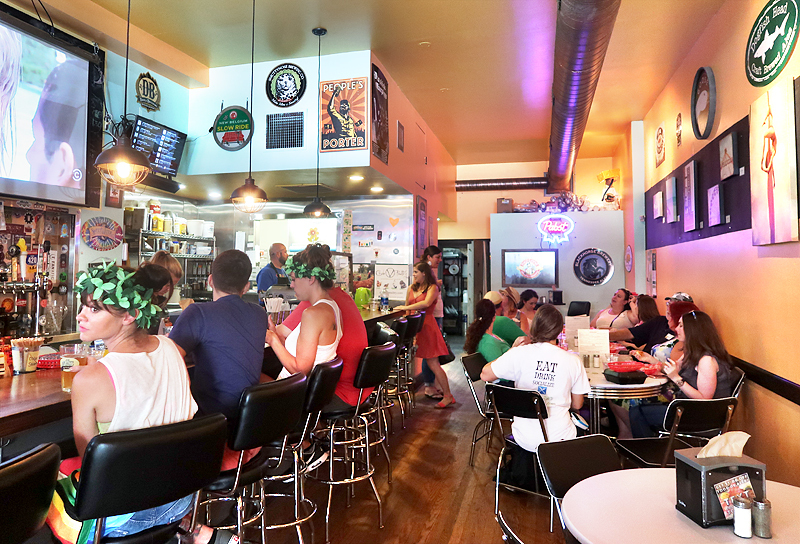 As the official all-local tap wall and craft beer establishment of the Knoxville Area Brewers Association, there’s many reasons to check this place out. There’s locally-roasted coffee, a large selection of local beers on draft and an array of scratch made food and baked goodies. 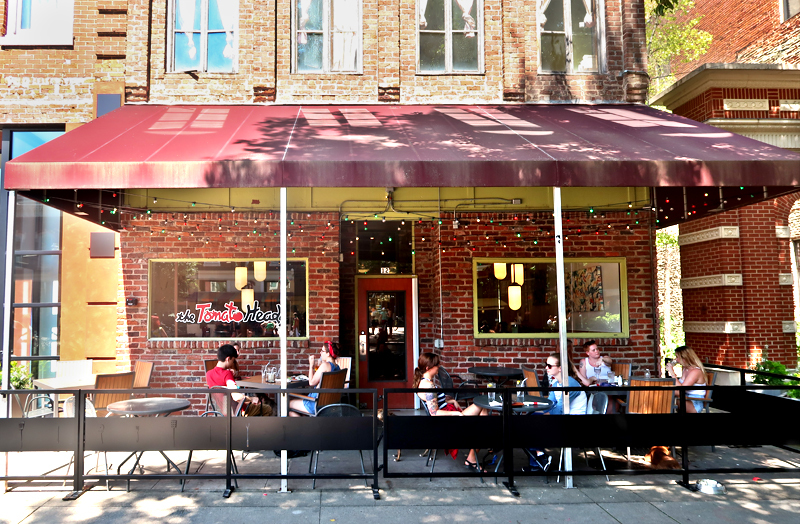 Inside this quaint location there’s locally-roasted coffee, a large selection of local beers on draft and an array of scratch made food and baked goodies. One peek at the breakfast/brunch menu tells me that there’s a weekend morning in my future that’s about to get a lot more tasty. When our tour group arrived the tables had been set with sampler baskets of goodies. 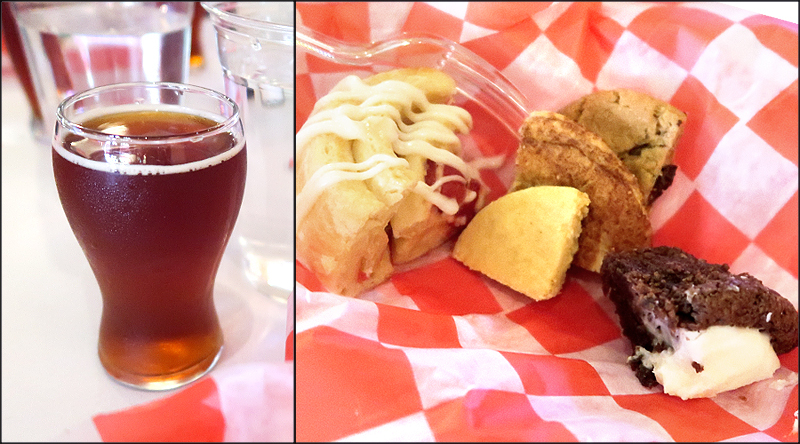 There was a cherry cheese danish, browned butter chocolate chip cookie, snickerdoodle, curried shortbread, and a fudge cream (it tasted like a dense brownie/cupcake hybrid filled to the brim with an amazing pastry cream). Though the danish and fudge cream were among my favorites, as a lover of interesting flavors the curried shortbread stood out to me. I ended up purchasing an extra full-sized cookie as well as a full-sized fudge cream to take home to Matt. The beer taster arrived in a cute mini pub glass – McFuggle Off from Cold Fusion Brewing. Described as an imperial amber with tangerine and melon brewed with Fuggle and Mandarina Bavarian hops. Those who know me know that I hate beer, and I actually really liked this one. The first beer in a long time that I haven’t wrinkled my nose at… I could have finished a full-sized glass, easily. Maybe too easily. 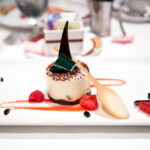 Who should take a food tour? It’s always fun to read someone else’s perspective! Great write up and it was such a fun experience! 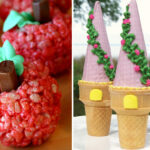 Thanks for the great write up, Erin! It was a pleasure having you on the tour, and I hope to see you again in the future! My pleasure! 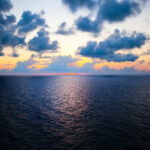 It was a wonderful way to spend an afternoon!